Paper dressmaking patterns had been available to amateur and professional dressmakers from at least the mid-19th Century when the use of the sewing machine facilitated the making of clothes. 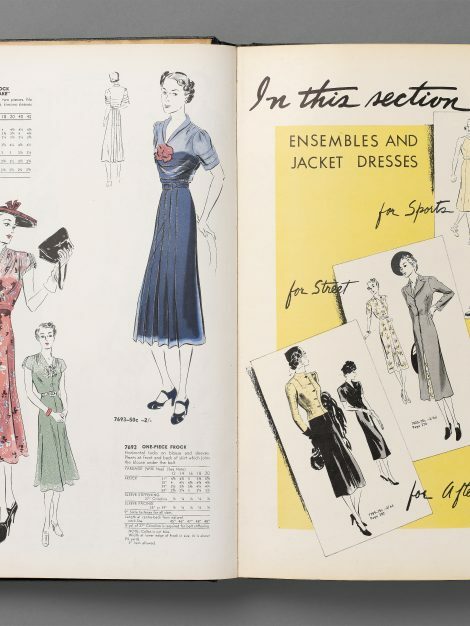 Initially paper patterns were included in magazines in sheet form, needing to be scaled up; but from the 1860s Butterick and Co., followed by McCalls and other companies, sold graded patterns of notched tissue paper with making-up instructions and an illustration of the finished garment. These could be ordered by post from a catalogue, or purchased from a local shop or department store. 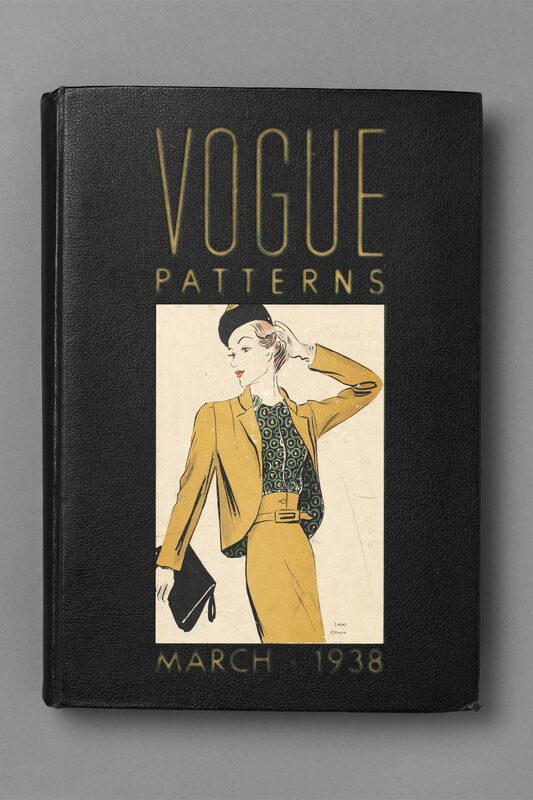 Condé Nast, the publisher of Vogue magazine from 1909, embraced the opportunity to provide his readers with the means to make stylish clothes at a reasonable price by introducing Vogue Patterns. 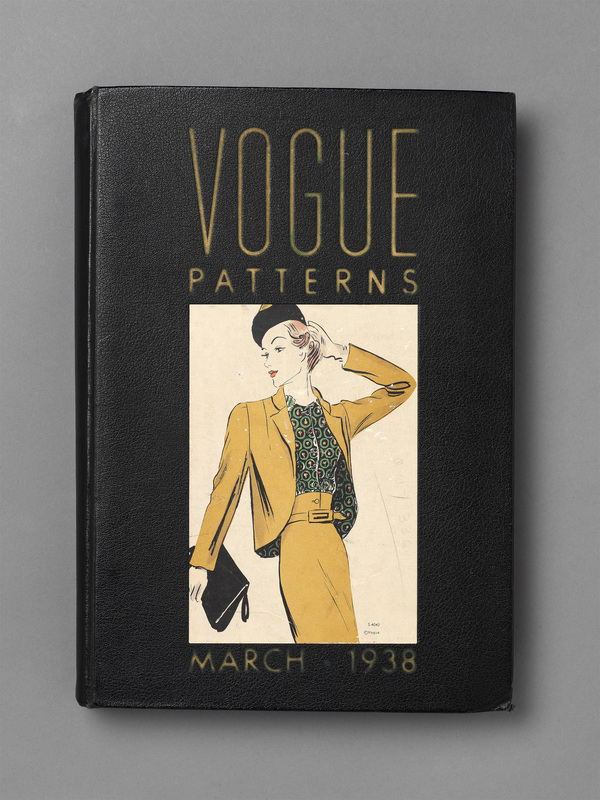 This Vogue catalogue and the ‘Related Item’ were published in the United States in 1938, but included prices in sterling for use in the United Kingdom. 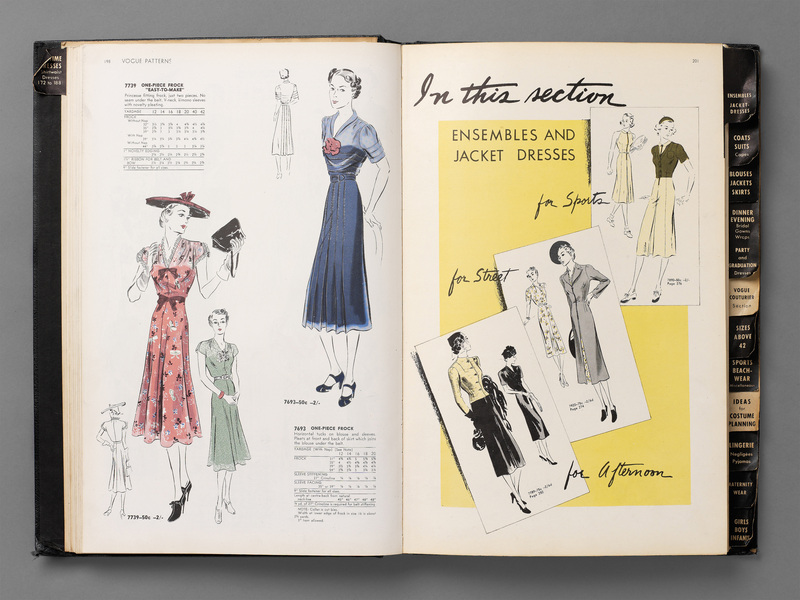 They illustrated the whole range currently available from which the dressmaker could make her choice in store. It is clear that the format in use today was already established by the 1930s. 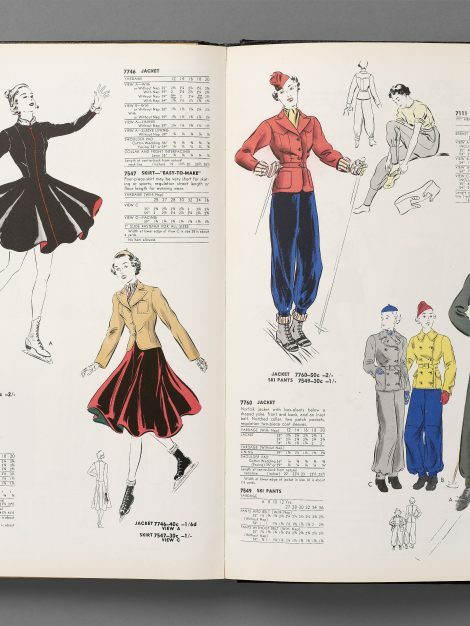 The large and weighty tomes were divided into different categories: day dresses, coats and suits, separates, evening and bridal, for example, with a small seasonal selection at the front, and an index of the identifying numbers at the back. 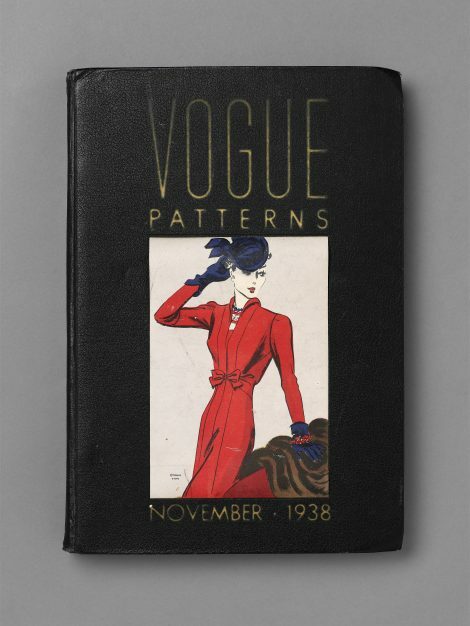 Each design was illustrated in several versions, with back views, in a style of svelte sophistication. 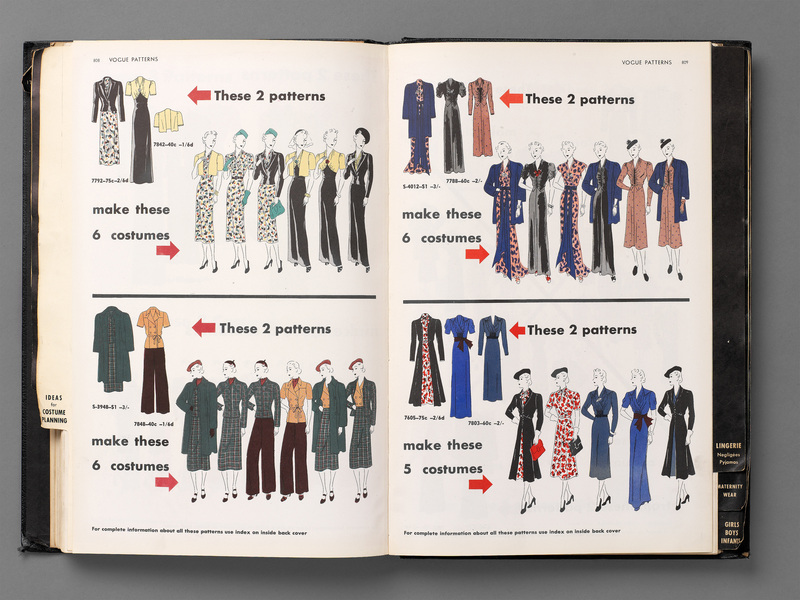 Beneath, a chart gave the fabric yardage needed for each version in each size. 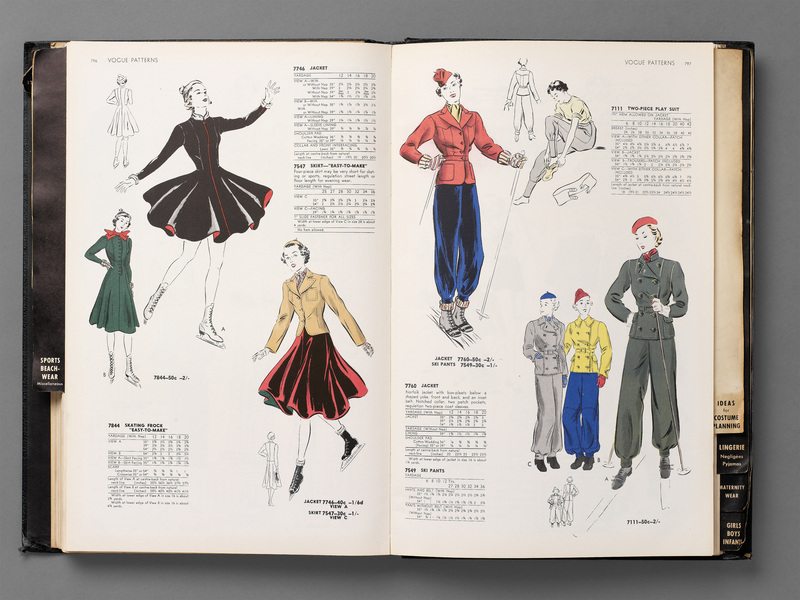 A section called ‘Ideas for Costume Planning’ offered ‘helpful suggestions chosen for the discriminating woman who plans her wardrobe by selecting interchangeable designs’. 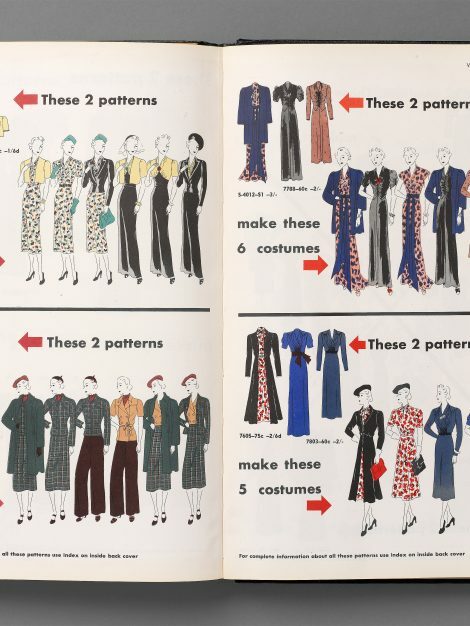 Two patterns could be used to make anything from five to eight different outfits (see ‘Additional Images’).